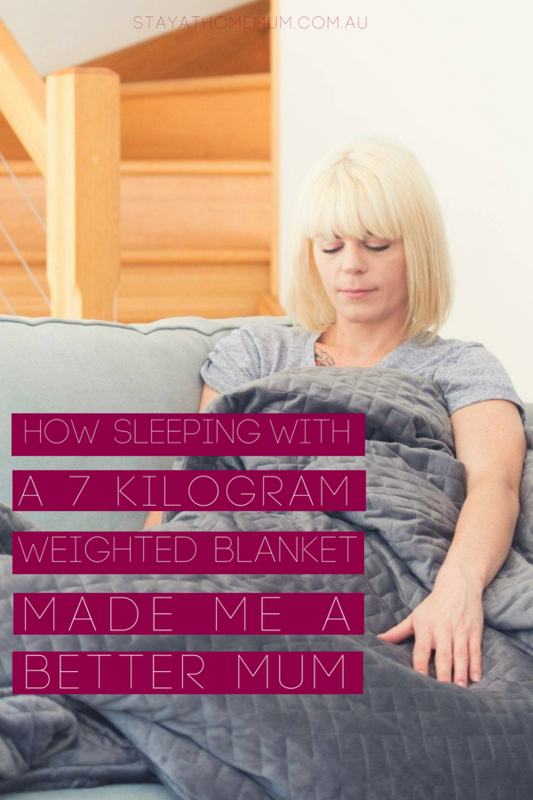 How Sleeping with a 7 Kilogram Weighted Blanket Made Me a Better MumI’ve finally been able to switch off my mind when I go to sleep by using a weighted blanket. People who know me know that I’m obsessive about sleep. Apart from reading a good book, sleeping is probably the activity I find most enjoyable. Most of the days, however, I’m not so lucky to catch the full eight hours – raising three little rascals who get up at the crack of dawn makes this almost impossible. This busy, anxiety-riddled ‘full-time mum, entrepreneur, writer’ lifestyle is why I’m on a constant quest to make the five hours of sleep I do get feel like eight. I’ve tried almost everything to get there – from your standard herbal teas to melatonin supplements, and even sleep-inducing pillow sprays. It wasn’t until I’ve stumbled upon something called a weighted blanket that I felt as if my life-long quest was nearing its end. These days, my mornings are energised and invigorated – I feel like I could take on the world, or at least two out of my three children at the same time. I still get up with the sun most of the days, but I fall asleep faster and sounder, and no longer stare at the ceiling until 2 AM while my mind cycles through tomorrow’s to-do list. My eldest, Danny, has a sensory processing disorder, which means that her little brain struggles when processing external stimuli. She’s 9 now, and coping really well, but when she was younger, we had no idea what was going on. Little things would set her off – a loud cough, someone laughing near her, the shape of her food. She would cry and wail at the top of her lungs, unable to tell us what was wrong. As he grew older, whenever she had one of her meltdowns, she would run to my room and pile as many covers and blankets as she could find on top of herself. One day, I asked her why she was doing that. Her answer surprised me, ‘So I can feel it’. That’s around the time we got her diagnosis and found out what SPD was. Her occupational therapist at the time told me to invest in a weighted blanket since she obviously found some sort of tactile comfort in weighing herself down. So we did. Sometimes, I would share her small blanket with her (when she allowed me to), and I found that I too enjoyed the weighted sensation. It would sort of ground me, push me into the mattress and relax my whole body. There were nights when I was unwilling to move from Danny’s little bed and often woke up with her watching me snore in the morning. The more I read about weighted blankets and their use in therapy, the more I wanted to get one for myself. Even though they were developed for people with sensory issues, autism, ADHD, and other health conditions, I found them extremely comforting and relaxing. And, I was not far off the mark – Australasian Psychiatry Association linked the use of weighted blankets to decreased distress and bouts of anxiety in adults. Finally, around eight months ago, I loosened the purse strings and bought the Calming Blanket – an adult weighted blanket that is my most cherished possession right now (or it would be, if I didn’t think of my kids as all mine). It is the best $220 that I ever spent on myself. This weighted blanket is comfy and warm, and the pressure it applies to my whole body once I curl up with it puts me to sleep straight away. Taking care of three small children (and one man-child, I have to add) is exhausting. Up until the last few months, the sheer intensity with which my brain tried to catch up to and remember everything would often trap me in an anxiety-insomnia loop. I would be so loopy from not getting enough sleep that I would be edgy all day and then, in the evenings, I would stay awake thinking how I had to go through it all once more the moment I open my eyes in the morning. Although I always did my best not to let it show when I was spending time with the kids, this exhaustion did get to me. I would be cranky and unattentive, sometimes to a point that I would refuse to oblige even the simplest demands they put in front of me. With the Calming Blanket, I’ve finally re-discovered what good night’s sleep really means, and I couldn’t be happier. I fall asleep faster, toss and turn less and less, and don’t get up during the night at all. I’m rested, I’m relaxed, and I’m ready for everything that the day has in store for me. This often includes maths homework, cuddling, and horsey rides. 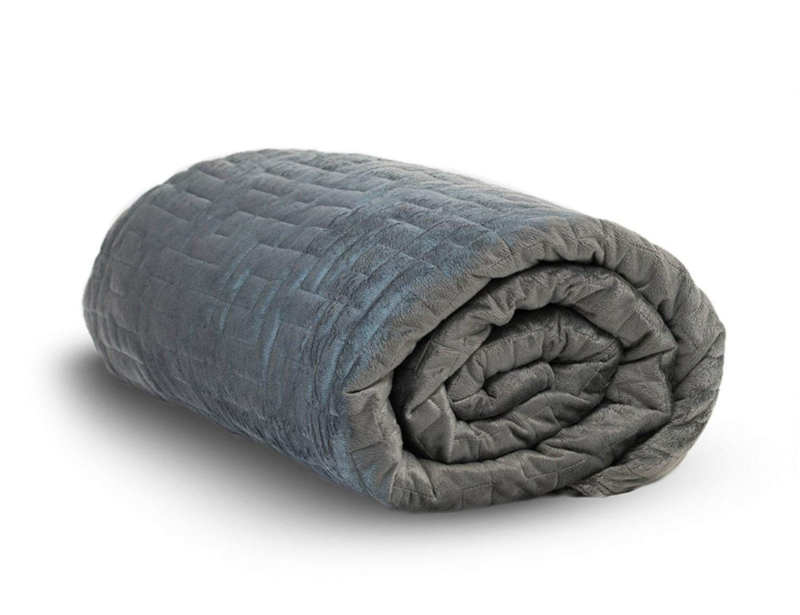 If you want to feel the benefits of sleeping under a weighted blanket yourself, I urge you to give the Calming Blanket a try. It sells for $299, but if you subscribe to their email list, you will get a $80 discount, which brings it down to $219. It’s an investment, but you will be investing in your health, and you can’t really put a price on that. Lindsay is supermum raising three kids (3, 5, and 9), and running her own little business empire on Etsy. She loves to sleep and would sleep for days, if only her kids would stop jumping up and down on her bed at 6 AM every morning. 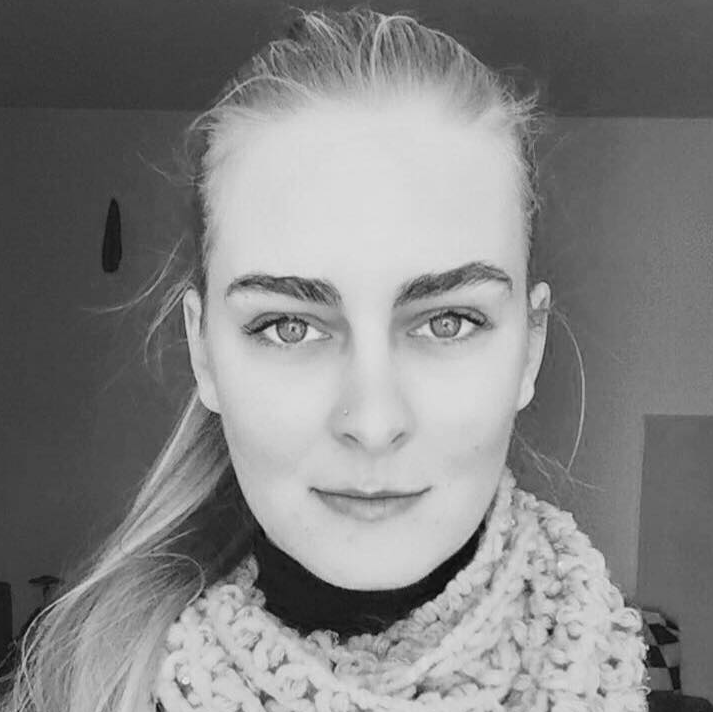 When she’s not on pick-up/drop-off duty, she enjoys cooking, writing, and an occasional outback hike.